State Water Project – East Branch Extension. The East Branch Extension, or EBX, is the portion of the State Water Project that conveys water to the Pass area. It begins at the Devil Canyon Power Plant in San Bernardino and ends on Noble Street just south of Orchard Street in Cherry Valley. The California Department of Water Resources decided to add the EBX to the State Water Project in the 1990’s. The project was a partnership between the Department of Water Resources (DWR), the San Bernardino Valley Municipal Water District, (Valley District), and the San Gorgonio Pass Water Agency (Agency). Construction of Phase 1 was completed in March 2003. The project consists of several miles of pipeline, three pumping stations (Greenspot Pump Station in Highland, Crafton Hills Pump Station in Mentone, and Cherry Valley Pump Station in Cherry Valley), and one operational reservoir (Crafton Hills Reservoir, a 90-acre-foot reservoir in Yucaipa). The project was constructed to take approximately one-half of the Agency’s State Water Project allotment of 17,300 acre-feet per year. The EBX is operated by the San Gorgonio Pass Water Agency and Valley District under an agreement with the Department of Water Resources. East Branch Extension Phase 2. Phase 2 of the East Branch Extension, the series of pipes, pump stations, and reservoirs that convey water to the Pass from our delivery point, Devil Canyon Power Plant in the City of San Bernardino, is designed to allow the Agency to import its full allotment of 17,300 acre-feet of water in a year. The project consists of six miles of 66-inch pipe under the Santa Ana River and through Mentone to Yucaipa, the new Citrus Pump Station and Reservoir in Mentone, and additional pumps for the Crafton Hills and Cherry Valley Pump Stations. The total cost of the project is approximately $200 million; the Agency’s share of this will be approximately $80 million. Valley District is funding the rest of the cost. The project is expected to be fully online in 2016. It will be funded through the Agency’s ad valorem property tax rate. 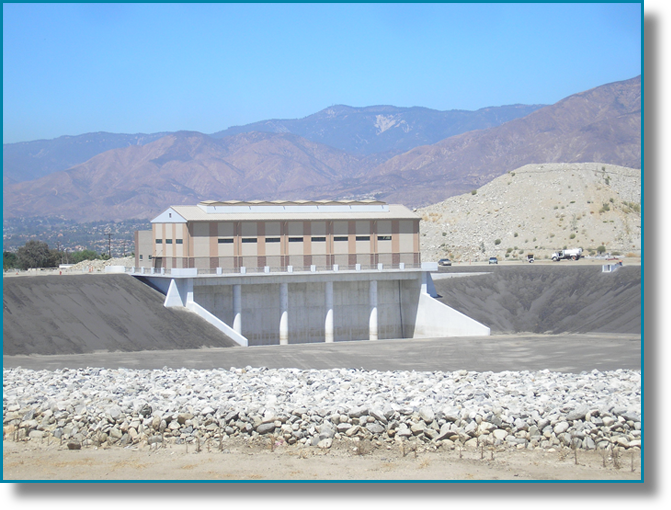 The Beaumont Avenue Recharge Facility will be a new groundwater recharge facility that will enable the San Gorgonio Pass Water Agency to import more water in wet years when it is available and to store it in the local groundwater basin. By adding the ability to store more water in local aquifers, the facility will help to drought-proof the region. Storage is one of the keys to surviving droughts. The facility, located at the southwest corner of Brookside and Beaumont Avenue in Beaumont, will consist of five large ponds, a pipeline connecting the ponds to the East Branch Extension under Orchard Street, and a new connection to the East Branch Extension. The total estimated cost of the facility is $8 million, including $3 million for land costs. It will be funded through the Agency’s general fund, not from the Agency’s ad valorem property tax rate. 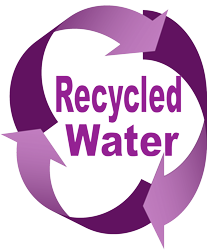 Recycled water is wastewater that has been purified through a high level of treatment processes. It is treated to strict standards set by the California Department of Public Health and is constantly monitored by local, state and federal regulatory agencies to ensure it continually meets those standards. This water source is considered non-potable, i.e. not to be consumed by humans or animals. How is Recycled Water Used? Recycled water can be used in numerous applications to satisfy most water demands, depending on the level of treatment. The water is treated to meet regulatory guidelines for the intended end use. Recycled water distribution systems are separate from drinking water distribution systems and are identified through the use of purple pipes and related infrastructure. The benefit of using recycled water is to preserve and protect precious drinking water supplies that could become scarce during periods of drought or cutbacks in imported water supplies. Recycled water is considered a “drought proof” water supply source. Several Pass Area agencies are in various stages of implementing or planning recycled water systems. Yucaipa Valley Water District (put in link to website) operates the Henry N. Wochholz Regional Water Recycling Facility, a high-tech desalinization plant that produces extremely pure recycled water. The level of treatment used to produce the recycled water is very similar to the drinking water filtration process. The final steps of the recycled water treatment process uses microfiltration and molecular filtration. 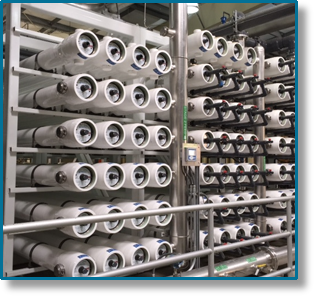 The water district distributes recycled water to its customers that have large irrigated landscapes (parks, schools, golf courses) and industrial uses.